"I have already recommended numerous friends and family to Dr Blumstien and they are all extremely satisfied"
"I've been going to Dr. Blumstein for many years. he's a great doctor and always gives me 100 percent of his time and attention. he makes you feel very comfortable and is easy to talk to." "i would recommend Dr Blumstein to everyone if they could get through to the office." "Dr Blumstein shows consideration about ma as a whole person"
"Dr. Meyer Blumstein is a concerned, excellent provider who reviews the case thoroughly." "Dr. Blumstein is the best! Always takes his time and makes me feel better." "Highly recommend Dr. Blumstein to all friends- he currently treats my entire family"
"Have recommended Blumstein to several friends"
"Dr. Blumstein is an excellent physician. I would be hesitant to recommend this office because of the office staff." "Outstanding diagnostician - Wonderful manner and patience in dealing with patient." "Dr Blumstein is a wonderful, caring and knowledgable doctor." "Dr Blumstein has been my primary for more years than I can remember specifically because I respect and trust him." "Dr. Blumstein is a wonderful, caring doctor - and an expert in his field - and in overall knowledge of other problems. #8. Excellent." "I am so pleased with this physician (Dr. Blumstein) that I travel 1400 miles to see him. I am also a health care professional, and I am knowledgeable enough to know that he is top notch in every way." "Dr. Blumstein has been my PCP for many years. I am completely confident in his care and professional abilities. I have referred many of my family members and friends to him." "Dr. Meyer Blumstein is a fine and caring physician. he knows his business quite well. One of the best in the field in my opinion. I know my Doctors and he is the best. I would surely recommend others and I have." "Dr. Blumstein always takes the time to listen to my concerns and helps me with my issues. 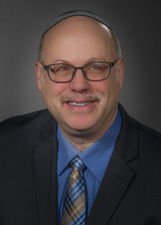 THANK YOU"
"Doctor Blumstein is not only thorough but he is kind and truly cares about his patients"
"Dr Blumstein is both qualified and courteous. Very impressed." "Have used Dr. Blumstein for 20years." "Dr. Blumstein is a great doctor!" "Dr. Blumstein is an exceptional physician! He is extremely thorough, caring and an excellent diagnostician." "Dr. Blumstein is the best!!! A physician to be emulated I recommend him at every opportunity." "Dr Blumstein is a wonderful doctor and I would highly recommend him and his office to anyone." "Dr Blumstein is an excellent physician and a caring person"
"Dr. Blumstein answers questions and explains all my tests and as a Doctor I consider him the very best." "Could not ask for anything better in a physician would not hesitate to recommend him to friends & family." "Dr. Blumstein is always there, and he provides me the best of care." "Dr. Blumstein is as caring and friendly as he is proficient. I couldn't ask for more in a physician!" "I absolutely love this doctor, but he's so booked up." "I love Dr. Blumstein. Comforted me. Told me my condition was not my fault - it happens as we age. Squeezed me in for an appt. next day instead of months." "Good very helpful with concerns - very comfortable with my doctor." "Dr. Blumstein is a compassionate, extremely competent (expert) physician." "I have only heard positive comments from Dr. Blumstein's other patients that I know." "Come right to the point - good experience." "A great experience with Dr. Blumstein and with all his employees. " "My experience with Dr. Blumstein has ALWAYS been exemplary!!" "Dr. Blumstein is an excellent doctor who explains things to me. I am grateful for all the wonderful care he gives me." "Dr. Blumstein is top of the line doctor." "Dr Blumstein is the best." "Dr. M. Blumstein is one of the best doctors I have been with." "Dr. Meyer Blumstein is first rate in every respect as my 5's ratings above display. AND he has a very good sense of humor." "Seeing provider for years. Have confidence in him -"
"Br. Blumstein is excellent and caring physician"
"All the doctors in this group are superb." "Dr. Blumstein in the best." "Caring doctor. Has good manner. Using him a long time." "My doctor is very good. He spend time explain things to you." "Dr. Blumstein called my home personally to provide further information about a medication he was prescribing. Awesome !!" "I have experience with all the doctors in this practice. They are all great!!!" "Dr. Blumstein is competent & had a pleasant manner." "I am very fond of Dr. Blumstein. He seems concerned and caring about me. He is very warm." "He's a great guy. I am very comfortable entrusting my medical care to him." "Very satisfied with provider. Have already recommended family & friends." "We have sent our relatives and friends to this provider -"
"Dr. B. is the only reason I have stayed with the practice. His care, concern & demeanor are unquestionable." "Dr. Blumstein is a great doctor who cares about his patients." "Always great comprehensive care, great diagnostician." "Visit & care was excellent. If needed, I would use Blumstein again." "Great experience with Dr. Blumstein & all his staff. I would certainly recommend them!" "Very good doctor. Cares about people." "Dr. Blumstein exceeds my expectations in every way!" "Dr. Blumstein is an excellent doctor who cares about his patients." "Most questions were answered by the doctor." "Have already recommended, _____ as my grown children and close friends." "Total confidence and respect for care provider." "I would prefer that my provider not answer other patients telephone calls during my visit -"
"Always have good experiences when I visit this group." "Well acquainted with care provider - using him for almost 20 years."